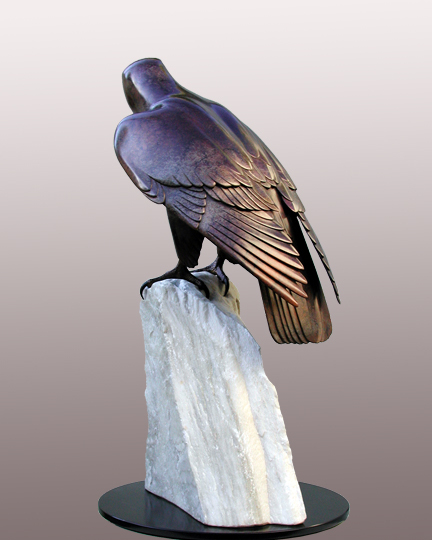 ASPEN, bronze on stoner base. 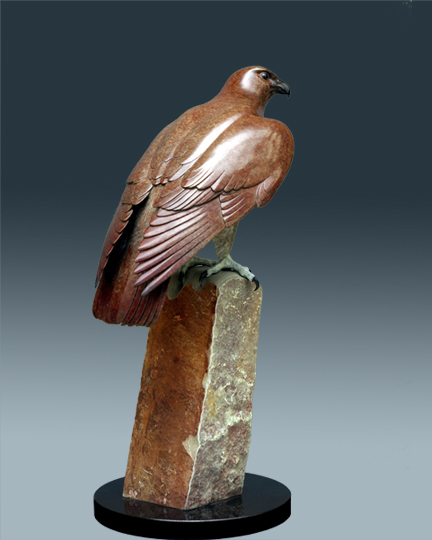 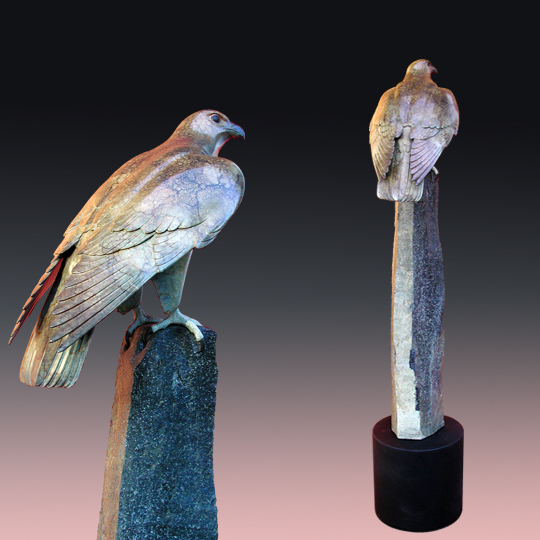 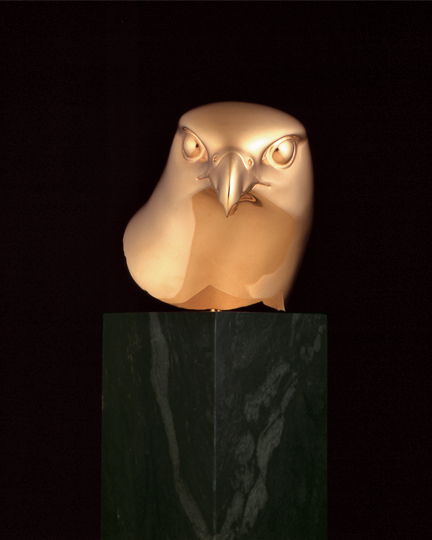 This larger then lifesize gyrfalcon (23" from head to tail) was inspired by a young bird born to a falconer. 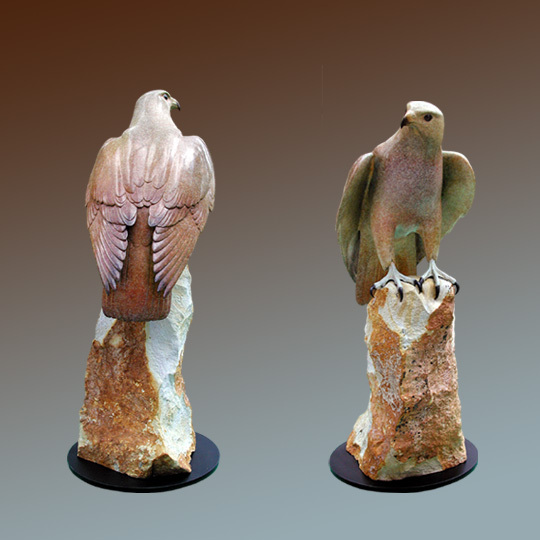 Every Aspen in the series of 35 is unique, with its own patina and mounted on a different size, shape and color of natural stone base.